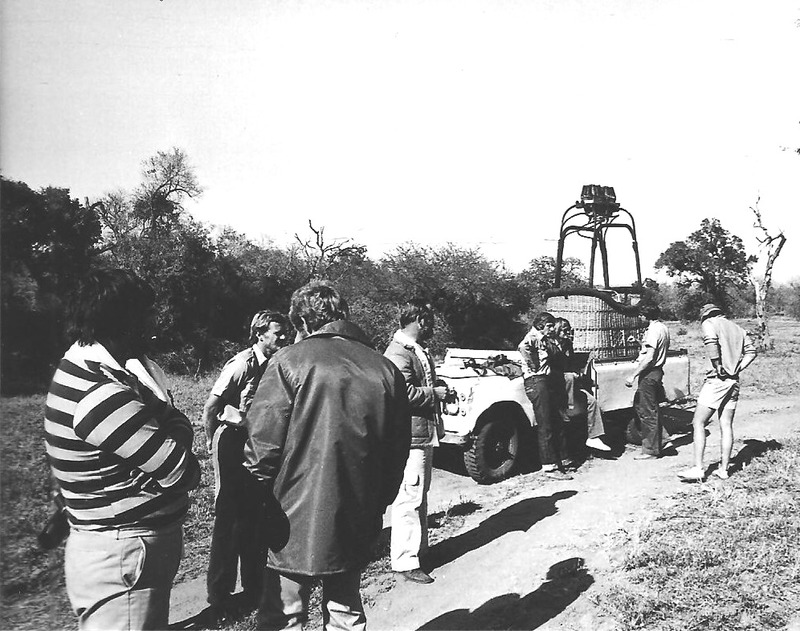 The Kruger had to cull their elephant herds and it was agreed that Londolozi could translocate the calves to a boma, quarantine them for a time then move them to other reserves such as the Pilanesberg. But funds were needed to make this a reality. To that end Dave went to the USA to raise funds from well know celebrities. They donated dollars to “buy” an elephant. It was also agreed that a movie would be made around the darting and transfer of the elephants to Londolozi. The story was that of a balloon lifting the sleeping calves over the fence to a new home. Cheryl Tiegs was the leading lady. The shoot went of relatively okay, but every time the balloon was inflated, the wind tended to blow it into the Acacias and puncture it! 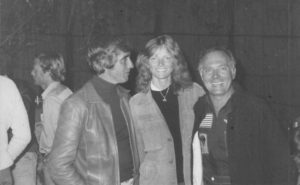 In fact, apart from Peter Beard (dating Cheryl Tiegs at the time) walking off into the bush for two days after a tiff, with only the clothes on his back, it was a great success. We made no attempt to search for him as his reputation made us look like zoo guides! He returned none the worse for wear. The calves were then housed in the boma and it fell to us to assist with their care. What an experience, these poor orphaned elephants, which seemed so vulnerable. We had large bottles of prepared formula and hand fed them. They would rumble and push against us, slowly edging us into the boma fence, where they continued pushing! Mike was very nearly crushed during one feeding session! 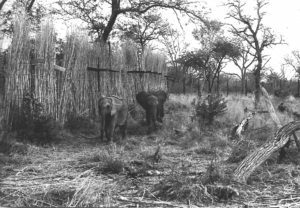 Later these elephants were translocated to the Pilanesberg Game Reserve where they formed the nucleus of their elephant population. Unfortunately, as they grew into “teenagers”, they became extremely aggressive. They killed some rhino males in territorial battles and constantly broke out of the park. Eventually some were culled as the final option. It was later deduced that the matriarchal system that governs elephant individual and herd behavior was more influential than ever before realised. I know I am forgetting so many experiences as I write. Some memories flood back and the others are just too hidden in the recesses of this city boys mind! What I can say is that I had a unique opportunity to share the life of the Varty’s and to – in a small way – contribute to the early conservation ideals of the Londolozi team. 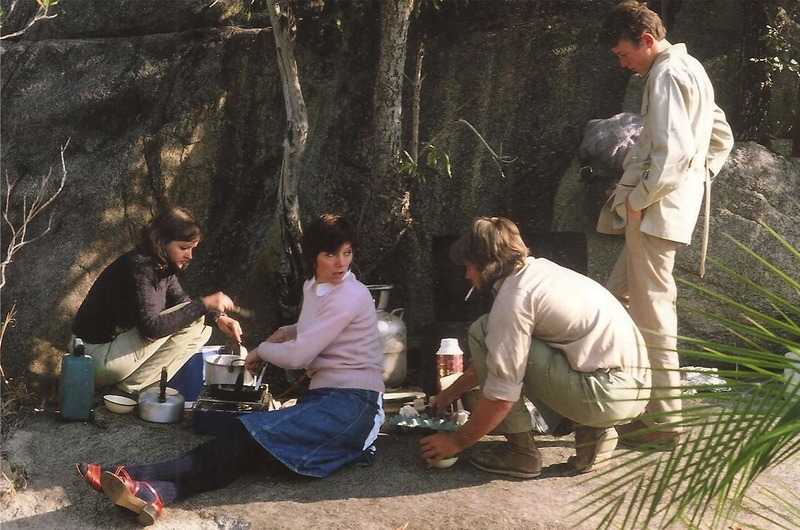 To live in a camp where the emphasis was on keeping an “old time”, raw bush experience going – no electricity, the “us against the wilderness” feeling was magical. But it was fused with the comforts of a luxury safari. Good food, great activities and great rangers! We never really had to try and be happy – it just happened all the time! Thank you for sharing another great part in the history of Sabi Sand and Londolozi, Peter. Shame on what happened in long run with some of the orphaned elephants, but at least you all tried to help them back then. I remember Londolozi in the 80s….looking forward to being there in November. Website makes it appear so much more upmarket…but I know it’ll be a magnificent five days in the camp. Thanks for all the memories of days long gone.